The water industry is a very big business and has grown tremendously in the last decade as people are staying away from municipal water supplies due to inconsistencies in purity, safety, and taste. But what else are you ingesting when you drink bottled water? 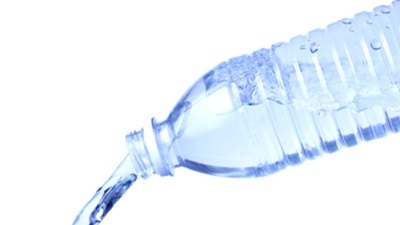 Researchers have found that bottled water contain over 24,000 chemicals. Personally, I do not like the odor and taste of tap water and much prefer the freshness and purity of bottled spring water. So subsequently, I have been drinking it for years. Recently, researchers in Germany tested 18 different brands of bottled water available for sale in countries like France, Germany, and Italy. Compared to regular tap water, chemical analysis indicated that the bottled water contained various chemicals which could interact with hormonal receptors sensitive to estrogen and testosterone. Even small amounts of the bottled water were shown to block estrogen and testosterone receptors. The researchers were able to test the effects of bottled water on selected human gene samples for the estrogen and androgen receptor. What they found was that 13 of the 18 samples had anti-estrogenic activity and 16 samples were anti-androgenic with the capacity to block this receptor by as much as 90%. The complete chemical analysis of the bottled water indicated that of the 24,520 different chemicals found in the samples, one chemical, fumarate, was associated with hormonal activity. Fumarates are considered an endocrine disruption chemical because that can block potential hormonal receptor sites. The chemicals used to manufacture the plastic bottles are the guilty party in this case. Most of these chemicals can leach out of the bottles and into the water in very small amounts over time if they have been exposed to prolonged storage in an environment that is not temperature-controlled. Fumarates and other environmental chemicals known as zenoestrogens are the by-products of the plastic manufacturing industry and although the full health effects of these chemicals are unknown, they are not recommended for pregnant woman or children. Since the research was performed at the genetic, sub-cellular level, the potential implications on human health is very difficult to determine right now. Certainly, it does raise some serious concerns regarding the chronic usage of various beverages stored in plastic containers, especially if they are carbonated. In my view, the consumption of still, spring water in bottles is safe for most people; however, the bottles should be stored in a cool, dark place or placed in the refrigerator immediately after purchase. Buying your water in glass bottles is the best way to avoid these chemicals. Main.E.,“Your Bottled Water Has 24,500 Chemicals,” Preventionweb site, Sept 30, 2013;http://www.prevention.com/food/healthy-eating-tips/your-bottled-water-has-24500-chemicals, last accessed Sept 30, 2013. Schlüsener, W.,et al., “Research ArticleIdentification of Putative Steroid Receptor Antagonists in Bottled Water: Combining Bioassays and High-Resolution Mass Spectrometry,”PLoS ONE 8(8): e72472. Wagner, M., et al., “Endocrine disruptors in bottled mineral water: total estrogenic burden and migration from plastic bottles,”Environ SciPollut Res Int. May 2009;16(3):278-86.